One day, the news is announced that a meteor will strike and destroy the Earth in 9 months. The Japanese government puts together a "Ginga Rocket," which will contain postcards from its people, filled with whatever they want to leave behind as a memory of their life. People react in different ways to the impending death of the Earth. Hisae continues to go to work, and struggles with the decision of whether it is meaningful to allow her pregnancy to continue. Takashi wants to return to his hometown before the end. How would you spend the last months of life on Earth? Yuka Hasegawa's cheating fiance has broken up with her, and she falls on the stairs on her way home after hearing this shocking news. When she wakes up, she's in a new fantasy-like world, complete with knights, magic and royalty. She decides to become a maid at the nearby castle, in order to achieve her new goal of marrying into money. This decision kicks off her quirky love story! Katou Chihaya is the daughter of major construction contractor company's president. Just after graduating from high school, she attended a business party with her father and was being pestered by another company president's son so she made him faint with a karate chop. Just when Chihaya was wondering what to do, another company president's son, who calls himself the Prince on the white horse, happened to see everything and became interested in Chihaya. However, Chihaya couldn't be bothered to even tell him her name so their conversation only ended in a promise to name themselves if they ever meet again. Four years later, Chihaya decides to work in a company that's not her father's to prove her own worth. She disguises herself as a plain girl to avoid needless attention, but she unexpectedly finds the "Prince" is her new colleague! It appears that he hasn't discovered her true identity, but what will happen once he does, now that they get along pretty well as colleagues? My favorite this week was Ginga Rocket ni Ohagaki Kudasai, though it was quietly depressing. I really hope Earth doesn't get destroyed anytime soon. 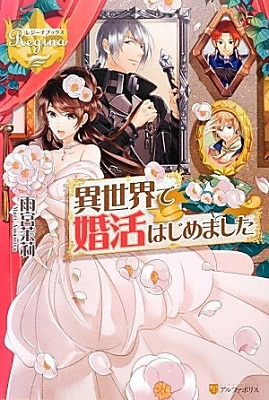 If you want something lighter, Isekai de Konkatsu Hajimemashita was a cute alternate-world romance that I believe is a complete story at 6 chapters. Those who are fans of horror will probably enjoy the creepy atmosphere and gore of Shibito no Koe o Kiku ga Yoi. 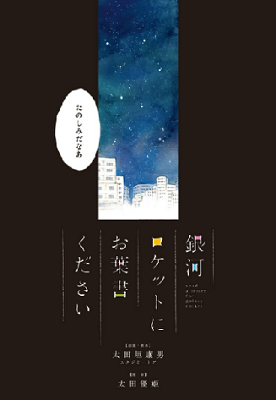 Ginga Rocket ni Ohagaki Kudasai - If you like the end of the world type manga and want to see what people might do when they know the world is ending, this may appeal to you. Isekai de Konkatsu Hajimemashita - If you're in the mood for romance and castles, then you should pick up this manga instead. It's pretty short so you won't invest a lot of time into it either. 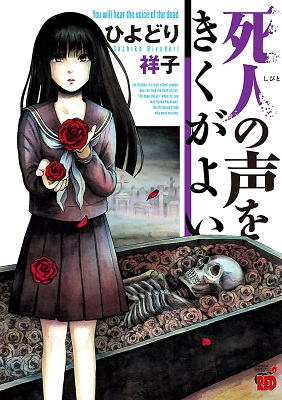 Shibito no Koe o Kiku ga Yoi - If you like ghosts or are in the mood for something a little more Halloween-themed, then you should check out this manga instead. 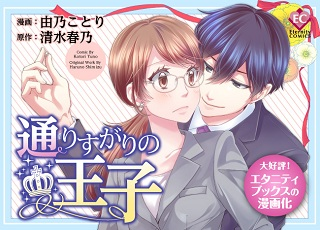 Toorisugari no Ouji - If you like more traditional romance with the typical plain girl and boy falling in love at work, then this might be right up your alley. If you haven't done so already, check out the scanlations of the manga from previous shout outs which have been recently scanlated: sci-fi action comedy Vanilla Spider (MH link), survival adventure Golden Kamui (MH link), psychological mystery Kansokusha Tamami (MH link).